— John F. Kennedy, on how he became a hero. I was doing some reading about President John F. Kennedy (JFK) and was surprised to learn that he actually commanded three PT boats: PT-101, PT-109, and PT-59. His service on PT-101 was very short. His next command, PT-109, became famous because of its ramming and sinking by the Japanese destroyer Amagiri. Though injured, JFK was able to lead his surviving crew out of enemy-held territory. JFK also commanded PT-59, with one of its actions dramatized in the movie PT-109. During this action, PT-59 rescued US Marines stranded on a beach while under fire. JFK's service on PT-59 would normally have made it a significant piece of naval history, but an amazing series of bureaucratic screw-ups, including a typing error, caused it to be left to rot at its New York mooring. This bit of history got me curious about PT boats and their history. I decided to do some web scraping and pull together some statistics on PT boats into this post. As I read the history of PT boats, it became obvious that the US was scrambling during the early years of WW2 to put any type of craft they could into battle. Unlike steel destroyers and battleships, these boats were made of plywood and mahogany. They depended on speed and hit and run tactics to survive. The actual web scraping (source) was a bit complex: copied the page into Notepad++ and used a regex to clean things up, Power Query to do the parsing and transformations, and tables were generated using Excel. My source files are here. What is a PT Boat? 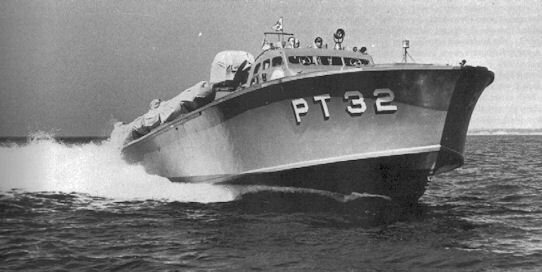 The popular term PT boat came from their US Navy designation of Patrol, Torpedo. They were fast attack craft that were armed with torpedoes, depth charges, and machine guns. Their use was almost exclusively limited to WW2 – four boats were built during the Korean War. 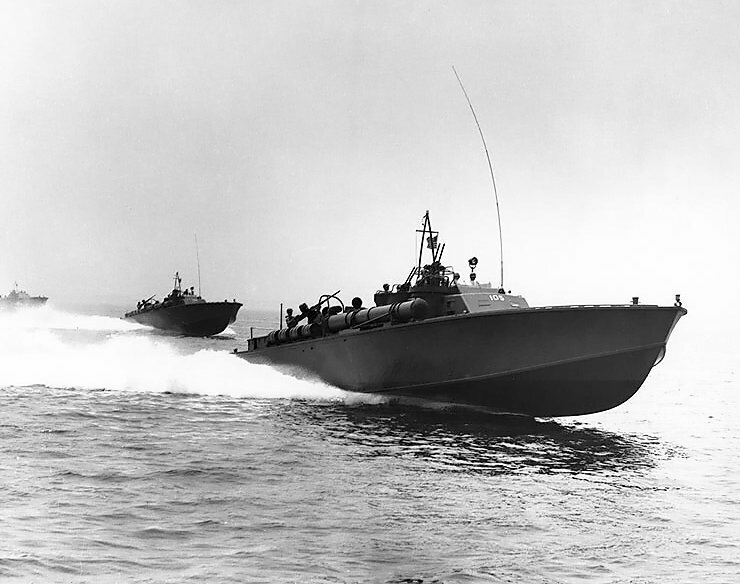 The PT boats were small, fast, and inexpensive to build because of their wooden construction. Their effectiveness was hampered by ineffective torpedoes (fixed later in the war), limited armament, and lack of armor. 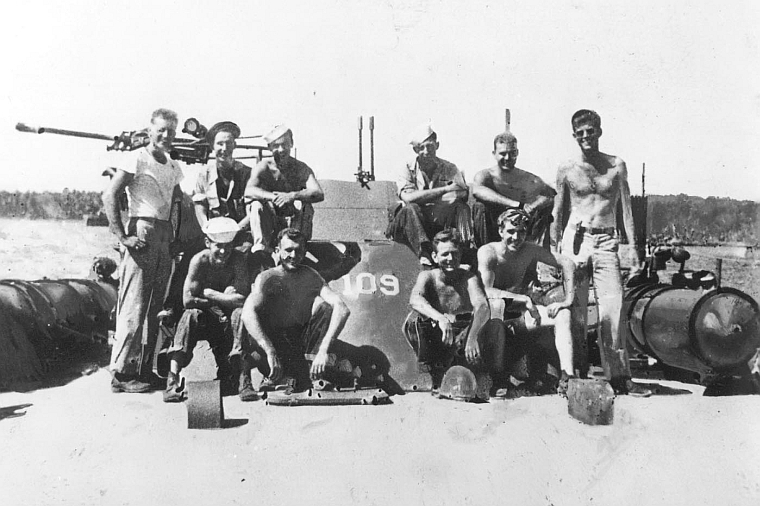 The PT boats were small and generally limited to coastal operations. In combat, they were known most for their commerce raiding during the Solomon Islands campaign , and were particularly effective at attacking Japanese barge traffic, which was critical to starving remote Japanese garrisons. Early in WW2, four PT boats performed an important special operation by evacuating MacArthur and his staff and family from the Philippines (Figure 3). The US built 813 PT boats during WW2 and Korea (Figure 4). There were only 4 built during the Korean conflict (1951), so 809 were built just prior to and during WW2. Notice that a British company built a US PT boat, which served as one of three prototype boats used by the US Navy to develop the entire class. Figure 4: PT Boat Manufacturers. As you can see in Figure 4, the Elco and Higgins companies dominated the production of PT boats. The bulk of the PT boats built were 78 or 80 feet long (Figure 5). Many of the smaller boats were eventually removed from combat roles and used as utility vessels (also known as small boats). The four largest boats (89 ft, 94 ft, 98 ft, 105 ft) were aluminum boats built during the Korean conflict. Figure 5: Length of PT Boats. See this article for an excellent discussion of the various PT boat classes. 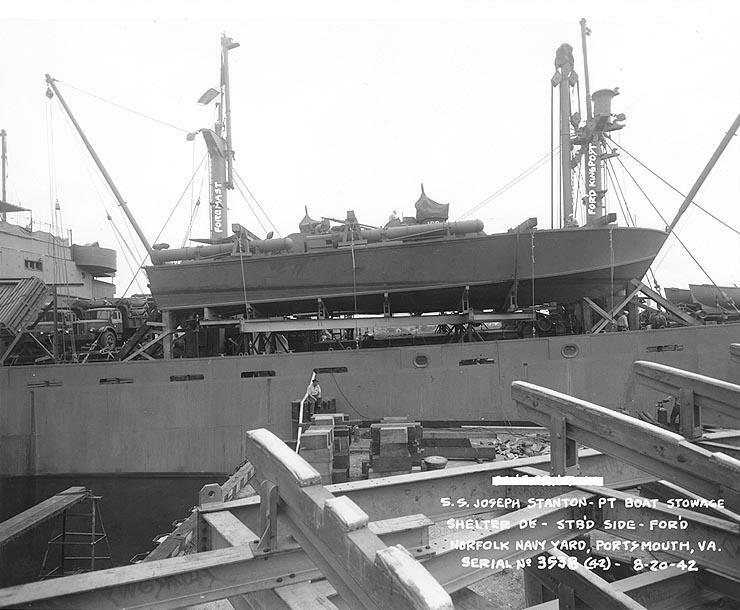 I should mention that US was the world leader in the manufacturing of marine plywood during WW2. The key was the development of waterproof adhesive in 1934. This technology proved critical when the US needed to build large number of inexpensive small watercraft, like PT boats and landing craft – something the Germans did not have for their proposed invasion of Great Britain, Operation Sea Lion. While better waterproof glue may sound like a minor technical advantage, the lack of reliable industrial-strength wood glues prevented the Germans from duplicating the deHavilland Mosquito (Source). I have also read that poor glue quality affected the development of last-ditch wooden aircraft, like the Bachem Natter. 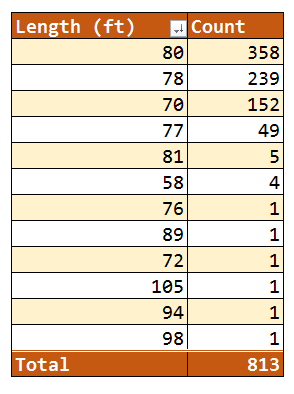 Excluding three prototypes, 527 PT boats were built for the US Navy and 283 were built for our allies (Figure 6). Figure 6: PT Boat Allocations By Nation. What Happened to the US PT Boats? Many of the destroyed boats met their end by being dragged onto beaches and burned (Figure 7: Source, Source). The non-combat losses were due to weather or grounding, which was a problem for boats running in uncharted shallow waters. Thirty-four boats were lost in combat, with one boat was lost due to ramming, JFK's PT-109. Figure 8 shows that most of the US Navy PT boats survived the war and were sold, scrapped, abandoned, or destroyed at the war's conclusion. Figure 8: Fate of the PT Boats. Figure 9 shows a PT boat similar to PT 109 running at high speed. These were beautiful boats. I should mention that the US Navy has identified the wreckage of PT-109 in the Solomon Islands (Source). The wood components have long since decayed, but the torpedo tubes are still there. This entry was posted in History Through Spreadsheets, Military History. Bookmark the permalink.